For over 51 years, Babin’s Auto Glass has been proudly servicing the Gonzales and surrounding areas. We are family owned and operated, and providing quality customer service is our main goal. Our glass technicians have 30 to 40 years’ experience in all areas of glass repair, replacement, and flat glass and mirror fabricating. Our services include windshield repair, complete windshield replacement, and door window, motor, and regulator replacements. We can cut-to-pattern safety laminated glass or install your custom unit on all heavy equipment. We also offer replacement of insulated windows in your home. For most boats, our technicians can fabricate windshields from Plexiglas. 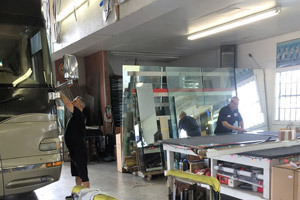 Replacing single or split windshields for RV’s and 18 wheelers is also on our list! For any other glass needs, just give us a call and if we can’t help you, we’ll guide you to someone who can! Before you contact your insurance company, call or come in and our experienced office staff will handle your claim for you! Simply provide us with your policy number and we take care of the rest! 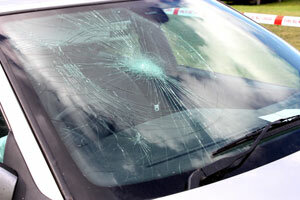 Your windshield is a critical part of the safety of your vehicle. This is why we prefer supervised, in-shop repair and replacements. 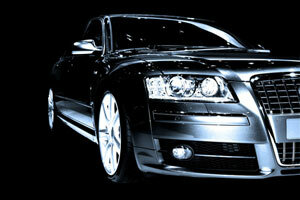 We utilize only the best products and tools to provide you with an accurate and safe repair. Our services and premium products are backed with a lifetime guarantee! We will always be available to satisfy your questions or concerns!